hey people who read an answer these questions that are left by us newbies. where I’m form this kind of profession that these hard working and wonderful ladies provide is legal country wide and well regulated. i don’t know what can be or not be asked. what can or can not be answered. so i will ask a few admin questions. how often is the roster updated? are their ladies who work there and are not on the online roster? with the service that the ladies provide does that get updated and how often? is the ranch drug free and are all the ladies drug free? is it legal or illegal for a ladies to discuss service and pricing online via email with an out of country would be client? This topic was modified 2 years, 10 months ago by fyfu2. Sheri’s Ranch updates the lineups whenever there are changes. Ladies may be unable to appear at the last minute or a Courtesan may request to be added to the lineup. It’s prudent to check the lineups frequently and especially prior to your visit. A Courtesan may occasionally appear at Sheri’s Ranch and not be on the lineup for a variety of legitimate reasons. It’s advisable to inquire about Ladies of whom you’re interested that are not scheduled upon your arrival at Sheri’s Ranch, since they may have been added to the lineup at the last minute. you can always count on FF for the best info. [quote quote=18798]Sheri’s Ranch updates the lineups whenever there are changes. 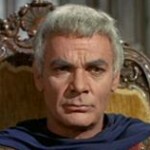 Ladies may be unable to appear at the last minute or a Courtesan may request to be added to the lineup. It’s prudent to check the lineups frequently and especially prior to your visit. Sheri’s Ranch Courtesans are prohibited from using illegal drugs on or off the brothel premises and they are drug tested frequently. Sheri’s Ranch has a zero tolerance to clients using drugs on the brothel premises that are not prescribed to them, since it’s illegal in NYE County and the State of Nevada. Illegal drug users may receive a free ride in a NYE County Sheriff’s car. How often are they drug tested? Are you putting out misinformation once again? 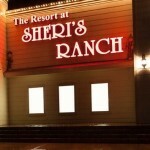 Sheri’s Ranch keeps clients very updated on weekly line-ups. The best time to look at a line up would be Tuesday. Sure, Flint. Like the info about outdates in northern Nevada he posted about? It’s important to have factual information here for the readers, particularly, when it’s legal vs. illegal. Were all of your questions answered or did you still need assistance? Sheri’s Ranch Forum is a polite and respectful message board for the purpose of exchanging information and experiences utilizing a friendly and professional demeanor. You’re obviously an Internet troll whose intent is to attack posters and create unrest and havoc through abusive and argumentative posts. This message board was plagued by rogues like you in the past and legitimate posters were reluctant to participate for fear of being persecuted. This is not an outlaw message board, it’s the Sheri’s Ranch Forum. You disrespectfully attacked my post but you didn’t provide any valid or factual information! If you disagree with a poster or have valuable information, then simply post your valid knowledgeable reply citing references in a dignified manner. I didn’t post detailed information concerning LPIN outdates or the specific legalities involved because that wasn’t my mission. I had previously merely posted about MY outdate experience in Lyon County. If a member is concerned about the legalities regarding outdates, they should refer the specific county codes and ordinances or Nevada statutes. I never called you a name; I simply asked a question- how often are they drug tested? I will ask you again, how often are the ladies drug tested? You made the statement; I asked for clarification. If you want to get nasty because I asked a question, that is your prerogative. I am neither a troll, nor a troublemaker. I am a frequent Sheri’s Ranch visitor that wants to make sure correct, factual, information is put forth to the readers of this forum. I would like to make this a pleasant discourse; if you want to get angry, call names, and categorize me, that is certainly your call.